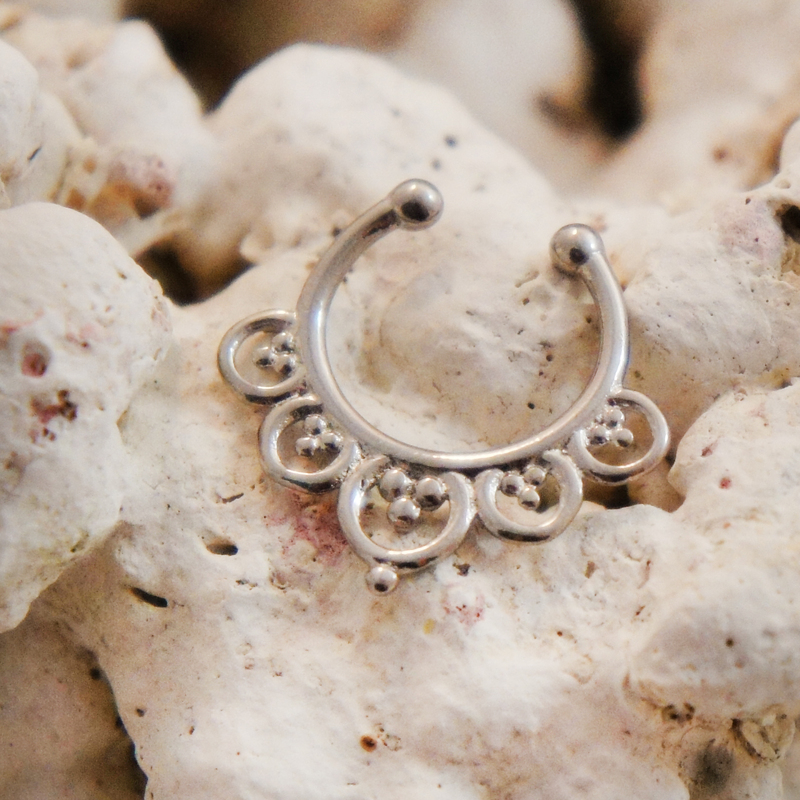 Septum piercings have been common in many eastern cultures throughout history but for the last twenty years it has been slowly becoming common in western culture. The septum piercing is usualy done with a needle that pierces the skin inbetween the carilage and the bottom of the nose. 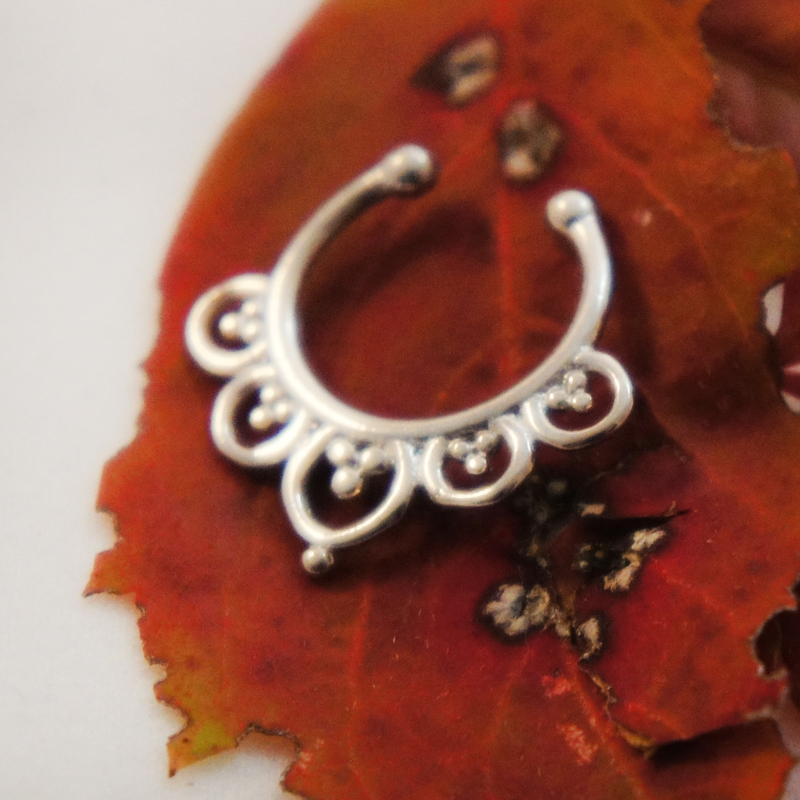 There are many styles of jewelry that can be worn in the septum. 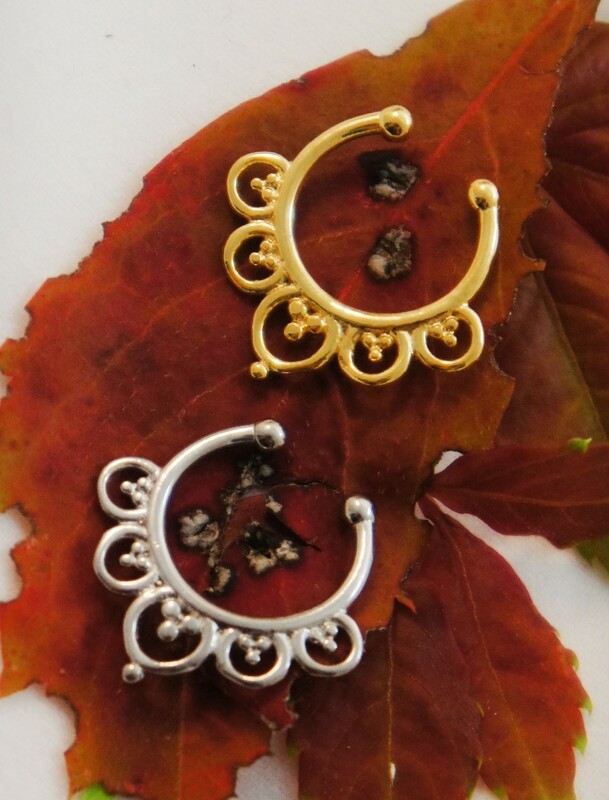 These particular styles are called nose ring clips and are illusion jewelry. Our septum clips are sturdy yet still pliable. This style is one of our more simple traditional designs that features a ball trim. Most of our styles come in gold, silver and rose gold and are one size.